Selling real estate is rarely easy. Commercial office space is no exception. Defining a price that accurately represents the value of the property while staying within the range of competitors’ prices is the first challenge. In addition to pricing, there’s also the process of improving and maintaining quality for prospective buyers. Not to mention that it’s always advantageous to expand the kinds of amenities the property includes for a competitive edge. That’s just the tip of iceberg. In general, selling office space is overwhelming. And in order to be effective, one needs the attention of an expert. 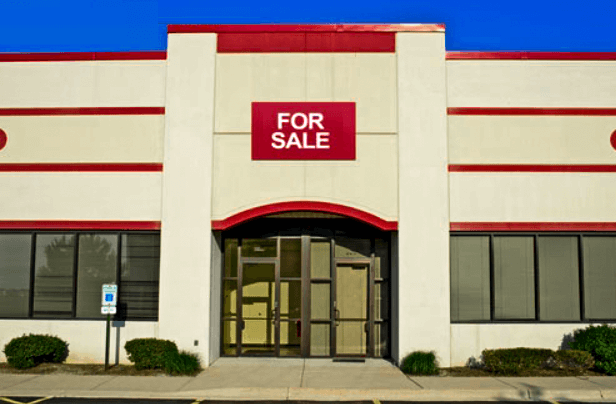 If you have commercial property for sale, these tips will help you do the job right. With these tips, you’ll find the right buyers for an optimal price. Effective marketing is vital. You want to maximize the number of people you attract to your office space so that you can hopefully facilitate some bidding between competing prospective buyers. In order for people to discover your office, you need to make yourself exceptionally available. To this effect, your best friend is the Internet. Websites in the digital age are the first step all prospective buyers are taking in their search for a space. Our team will make sure to assist you in listing your property in all of the most frequented websites for commercial property in Westchester, Fairfield, and surround areas. And we’ll make sure the listing is front and center. Piggybacking off of the last point, you want to take full advantage of the Internet. Bill Gates once said that “content is king”. By creating a blog to tell the story of the various memorable things that may have happened on this property, you can build a means of connecting on a personal level. Similarly, sending our press releases insert this property into the news through other means than just putting up an ad will serve you well. Even if it seems boring, engaging content will often end up making a noticeable difference in the kind of traffic you attract. In addition to a blog, Facebook, Twitter, LinkedIn, and even making some YouTube videos can all help get people chattering. This allows you to connect with professionals throughout the Westchester, Putnam, and Fairfield areas. Even if the people with you whom you directly connect via these networks aren’t currently interested in buying a property, you’ll still have planted the seed in the even that one or several of them know someone else who may be interested. Buying and selling commercial office space is not the same as buying a pair of flip flops. It doesn’t happen immediately and it’s important to remember that. If you try to pressure someone to rush into a decision you risk losing their interest completely. Any time anyone shows the least bit of interest and agrees to exchange contact information, you should keep them in mind as a potential buyer. Who knows, they may not be ready to buy tomorrow. But they just might in a week, month, or even a couple years. The Rakow Group is a team of experts in the industry of commercial property for sale and for lease. We assist buyers, sellers, and tenants with search and subsequent negotiation of terms for contracts in commercial properties across multiple industries in Westchester and Fairfield Counties and surrounding areas. To learn more about our services, give Rakow Group a call at (914) 758-0220.